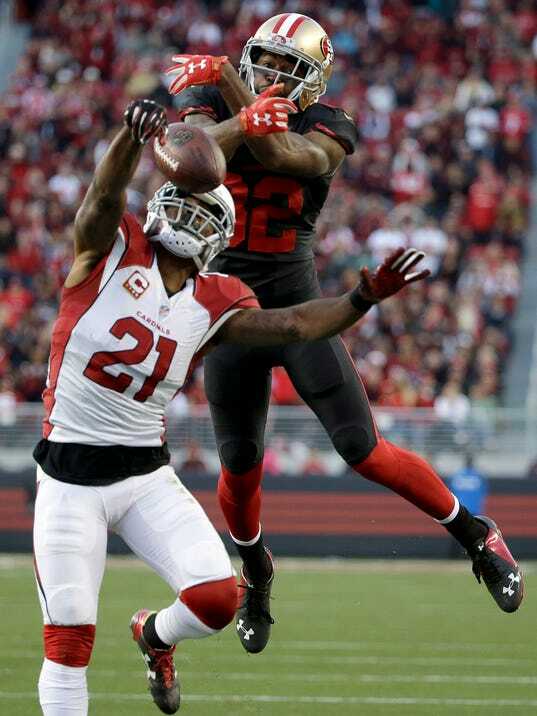 TEMPE, Ariz. (AP) — These are good days for Patrick Peterson. He’s a new father. He was just named recipient of the Arizona Cardinals’ Walter Payton Man of the Year award for his charitable activities. With some big statistics, Peterson’s ex-LSU and current Cardinals teammate, do-everything safety Tyrann Mathieu, won NFC defensive player of the month honors for November. By comparison, Peterson’s season statistics aren’t that impressive — 25 tackles, eight passes defensed, two interceptions — but that’s largely because opposing coaches usually have chosen not to throw the ball in his direction. Each week, Peterson is assigned the opposing team’s best receiver. In last week’s 19-13 win at San Francisco, Blaine Gabbert threw to Torrey Smith just twice when Peterson was covering him, both for incompletions….